New Video Campaign at DefeatMSA.org! 1,000 Days selected for Docs DF Forum 2015! Meet Defeat MSA and MSA Shoe! Join for a cause! Realizing that much of the current attention is focused on more widely known diseases, Multiple System Atrophy is overlooked. MSA patients are confronted with a dim prognosis and left with few options. The Defeat MSA: Joseph G. Fortier MSA Foundation hopes to fund a multidisciplinary and multifaceted academic and clinical center to treat MSA and other rare movement disorders. And by doing so, our goal is to contribute toward finding more treatments for those living with MSA today, more support for their caregivers and ultimately to conquer MSA by finding a cure! A day full of surprises! 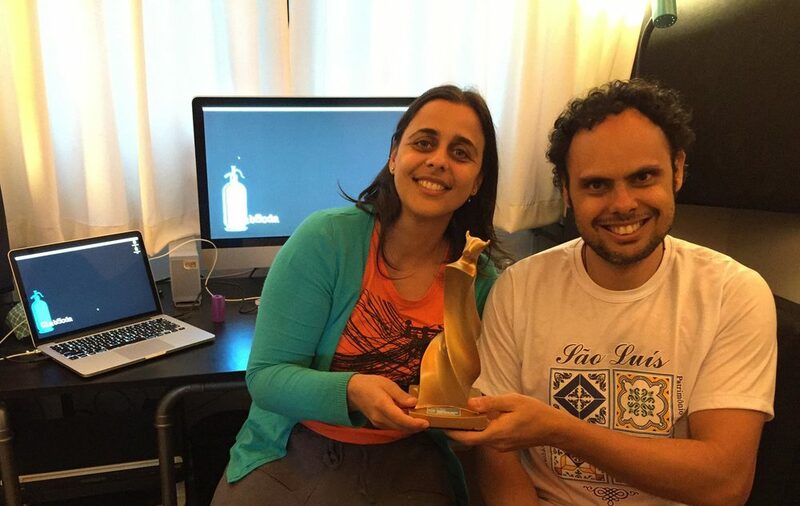 Today Christian Jafas came to my house to give me an award that I have never imagined I could receive: Best Editing in a short movie in the 38th Guarnicê Festival for Cine Paissandu: stories of a generation! Thank you, Christian, I loved it! 1,000 Days Selected for Docs DF Forum 2015 in Mexico City! Three years have passed since 2012 held the Latin Side of the Doc in Mexico and thus the festival DocsDF achieved the objective of bringing its activities a co-production with the intention of contributing to the development of documentary projects our Latin American region and put our city on the map of meetings, such as those that take place in Barcelona, Cartagena de Indias, Santiago de Chile, Montevideo and Montreal have that intention: to encourage and promote the creation of new films and be a meeting point for professionals from across the continent and guests from other latitudes. The DocsForum is a space for creation, collaboration and exchange of ideas and proposals, a place to learn and undertake, understand and reflect on a passion that moves us: the documentary film. This year, Docs DF Forum will happen will Mexico City, from 16th to 24th October and the activities will include pitching and one-to-one with Latin American decision makers. It was an incredible experience to see our project "1,000 Days" translated into a delicious dish for the Key Ingredients event in the Tribeca Film Festival 2015! I loved the salmon, chef Felipe Donelly of Comodo!